The Rangers were defeated by the Tampa Bay Lightning, 4-3, in overtime tonight at Tampa Bay Times Forum to end their three-game winning streak, and are now 12-3-3 in their last 18 games. New York has posted a record of 41-15-7 (89 pts.) on the season, including a 20-8-5 mark on the road. Four of the Blueshirts’ last seven games have required overtime. The Rangers have registered at least a point in 12 of their last 14 road games (9-2-3 over the span), and are 15-4-3 in their last 22 games away from MSG. New York has registered at least one point in 13 of their last 16 meetings with Tampa Bay, posting a record of 9-3-4 over the span. 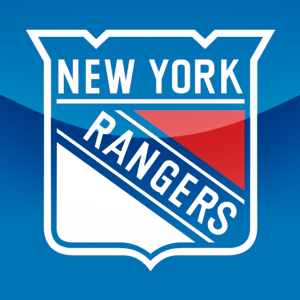 Each of the last eight meetings between the Rangers and Lightning have been decided by two goals or less, including six that were separated by one goal and five that required extra time. New York is now 8-1-2 in the second game of back-to-back sets, including a 2-1-2 on the road, and have posted a combined record of 16-1-5 in back-to-back games this season. Since 2009-10, New York is 29-9-4 in the second game of back-to-backs, with a 14-6-3 mark on the road over the span. The Rangers notched one power play goal, while five on three, in two power play opportunities (2:00), and are now 8-39 (20.5%) with the man advantage in the last 12 games. New York increased their lead over Boston for first in the Eastern Conference to 10 points, and opened up a 10-point gap over Pittsburgh atop the Atlantic Division standings. The Rangers are one point shy of Vancouver for first in the league overall, and hold two games in hand over the Canucks. Marian Gaborik notched a power play goal, the primary assist on the game-tying goal and posted a plus-two rating to earn third star honors. He has now tallied 23 points (eight goals, 15 assists) in the last 21 games, including seven points (four goals, three assists) in the last five games. Brandon Dubinsky tallied the game-tying goal with 3:27 remaining in regulation and was credited with two hits in the contest. The Rangers have now posted a record of 15-2-3 when he records a point. Artem Anisimov opened the game’s scoring with an even strength goal at 10:09 of the first period, registered three shots on goal and won 5-6 face-offs (83%). He completed the back-to-back set with two goals, and has tallied 10 points (six goals, four assists) in the last 14 games. Henrik Lundqvist made 27 saves and is now 30-12-5 overall, including a 14-6-3 mark on the road. It is the first time Lundqvist has allowed three or more goals in a game since Jan. 19 vs. Pittsburgh. Lundqvist is now 10-2-1 with a 1.44 goals against average, .946 save percentage and four shutouts in the last 13 games. Derek Stepan and Brad Richards each tallied an assist on Gaborik’s power play goal. The assist was Stepan’s team-leading, 29th of the season, and he has now tallied 11 points (three goals, eight assists) in the last 14 games with three assists in the last two. Richards also registered a team-high, four shots on goal in the contest, and has tallied nine points (two goals, seven assists) in the last 12 games with three assists in the last four. Ryan McDonagh recorded the lone assist on Anisimov’s first period goal, and was credited with five hits and four blocked shots in 24:44 of ice time. He has now tallied five points (two goals, three assists) in the last 10 games. Anton Stralman registered one assist and a team-high, five blocked shots in a season-high, 26:42 of ice time. He has tallied five assists in the last 12 games. Marc Staal led the team with a season-high, 27:39 of ice time, and John Scott tied for the game-high with a career-high, five hits in the contest. The Blueshirts’ practice schedule for tomorrow, Mar. 3, is 1:30 p.m. at MSG Training Center. The Rangers will return to action when they face-off against the Boston Bruins on Sunday, Mar. 4, at Madison Square Garden (12:30 p.m.), in an Original Six matinee match-up. The game will be televised live on NBC and can be heard on Bloomberg Radio. This entry was posted in Hockey, New York Rangers, NHL, Sports and tagged Anton Stralman, Artem Anisimov, Atlantic Division, Boston Bruins, Brad Richards, Brandon Dubinsky, Derek Stepan, Henrik Lundqvist, Marc Staal, Marian Gaborik, New York, New York Ranger, New York Rangers, Ranger, Ryan Malone, Ryan McDonagh, Tampa Bay Lightning. Bookmark the permalink.